The writing in this space continues to be dominated by the long, painful process of re-inventing the FSC’s Controlled Wood program. The long, painful story continues and remains critical to the success of the entire certified wood marketplace. So we continue to follow it closely. Our recent writing has focused on the release of a discussion draft by FSC-US – intended to be the last public look at their important National Risk Assessment (NRA) which is likely to be finalized sometime later this year. 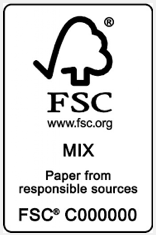 We hope you joined us in providing FSC-US with your comments. The official comment period for that document ended last week – following the very next day with a similar release from FSC-Canada. We are still analyzing the details of this work, but want to call your attention to it here, and share a few initial observations. Like the FSC-US, FSC-Canada has released it’s draft NRA for public comment using a dedicated webpage that includes links to all the relevant documents. We recommend that everyone download the package and give it as much attention as they can manage. It is VERY important that FSC-Canada gets feedback and critical comment from the user community. As with the US-NRA, MixedWood intends to create and publish a “User’s Guide” to the Canada-NRA. We will post that here in the next couple weeks. We will also share our own comments and recommendations. We hope you will find them helpful and share them with your colleagues. If we had to summarize the FSC-US approach to their NRA, we would say that they tried very hard to make things as easy as possible. This is emphatically NOT the approach FSC-Canada took. The Canada-NRA is a very complex and detailed document that will be very challenging to implement. We are concerned that the drafting process may not have included enough input from certified companies. There appears to be a long list of contentious subjects that may be very difficult to reach consensus on. In particular, the FSC-Canada approach to addressing CW Category 2 (Indigenous People’s Rights) promises to be very challenging in practice. Will it be necessary for First Nations to collaborate or approve all FSC-certified wood products in Canada? We are not certain, but eager to hear from our Canadian colleagues on this subject. As with all the new NRA’s, MixedWood recommends that practitioners focus first on the proposed mitigation measures that are embedded in the document. These measures – termed “Control Measures” will – when finalized & approved – represent new, mandatory performance requirements for the Controlled Wood standard. If they cannot be practically and efficiently implemented, the whole program will suffer. The Control Measures proposed here by FSC-Canada stand in sharp contrast to the rather simplistic and open-ended proposal made by FSC-US. The FSC-Canada CM’s are detailed, complex, and rigorous. We think they will be challenging to implement as well. If your company buys, sells, trades, or produces Canadian wood products, you should look closely at the proposed CM’s. FSC-Canada needs to hear from you. To assist in this examination and feedback, MixedWood has excerpted the CM’s from the NRA draft and posted them in this document. Please download and share freely. We will be collaborating with colleagues to fully analyze the summarize the Canada-NRA in the coming weeks. If you would like to assist or contribute to this effort, please drop us a line. Watch this space for more – including another “User’s Guide” – in the coming weeks.